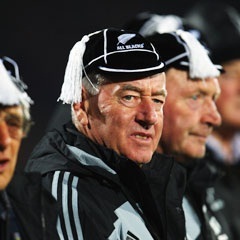 Former All Black coach Laurie Mains has admitted to being alarmed by the inferior standard of refereeing at the Rugby World Cup. 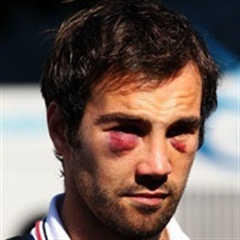 Corne Krige, who captained the Springboks to a disappointing RWC in 2003 has expressed sympathy for this year’s Bok side. SA referee Craig Joubert is sad that his late father won't see him referee in the World Cup final at Eden Park in Auckland. Conditioning coach Neels Liebel is the first person from the Springboks' setup to vent anger at the referees at the World Cup. A large contingent of Springbok fans have made their way to Eden Park where they will cheer on the All Blacks against Australia. Just as the dust starts to settle on the Boks' unsuccessful RWC title defence, Professor Tim Noakes has dropped another bombshell. Former Springbok coach Jake White believes Heinrich Brüssow's injury early in the Boks' clash against the Wallabies proved costly. 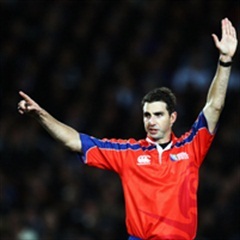 SA referees manager André Watson says he was surprised by referee Bryce Lawrence's performance in the RWC quarter-final. An Auckland resident who happens to have the same name as NZ referee Bryce Lawrence is praying for his phone to stop ringing. 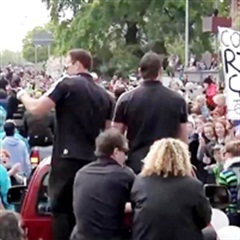 There seems to be some public enthusiasm for the Springboks taking on an overseas coach like John Mitchell. Is it time for Springbok rugby to seek some substantially fresher ideas ... perhaps even by installing a New Zealander as coach? Former Springbok fullback Andre Joubert has endorsed the credentials of the man currently in the number 15 jersey, Pat Lambie. Matfield to become a pundit? Retired Springbok lock Victor Matfield might work as a rugby pundit for pay channel, SuperSport, in future. Three possible candidates have apparently been identified as the possible successor for Springbok coach Peter de Villiers.